Building Highlights: ﻿﻿﻿﻿WEST OF DENMAN mostly renovated suite in prime concrete highrise facing East with private outlook, new updates & covered parking. 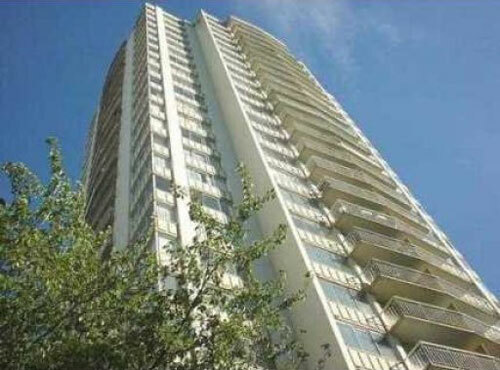 Fab rooftop deck, indoor pool & great setting near English Bay & steps to Denman St Shopping. Concrete building. freshly painted thru-out. Fabulous view from rooftop lounge. Other notes: No pets. Rentals OK. Inmes poss possible. Meas approx.